TreasuryONE said earlier that emerging market currencies had weakened, led by Turkey's lira and the rand. The rand closed at R14.37 to the greenback on Monday afternoon. The day's range was between R14.33 to R14.53. The rand opened at R14.53. OVERVIEW: US stocks extended losses as traders remained on edge following Friday’s sell-off. Treasuries and the dollar steadied. Technology and energy shares led declines in the S&P 500 Index, and a rebound in banks fizzled out. Ten-year Treasury yields traded near 2.44% after a closely-watched part of the US curve inverted on Friday as investors wager the Federal Reserve will need to cut rates. The greenback dropped against most of its Group-of-10 currency peers. European shares fell even after data showed confidence among German companies improved. The risk rally has come under scrutiny in recent sessions, after stock valuations climbed near levels reached during the height of last year’s euphoria. While weakening data and a pivot by global central banks away from tighter policy is shaking confidence, a breakthrough in US-China trade talks could provide support going forward. 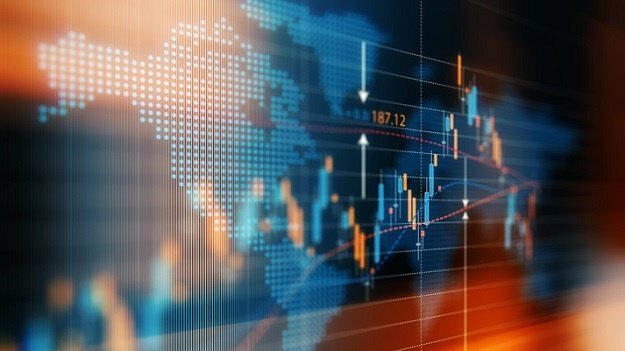 “It’s mildly positive for risk assets, but only very mildly and not nearly enough to overcome skittishness and downward pressure from continued weakness in global economic data,” said Aaron Hurd, a senior portfolio manager in the currency group at State Street Global Advisors, whose team manages $104 billion. The pound rose at the start of a week that could bring yet another vote on UK Prime Minister Theresa May’s Brexit plan. Chancellor of the Exchequer Philip Hammond and other cabinet colleagues publicly backed May on Sunday as several British newspapers said she’s under increasing pressure to stand down over her handling of Britain’s exit from the European Union. Elsewhere, the Turkish lira recouped some of its Friday slump, which followed the start of an investigation by the country’s banking regulator into JPMorgan Chase & Co. and another probe of unspecified banks for stoking the currency’s plunge. Oil steadied in New York after its biggest loss in three weeks, yet concerns lingered that a slowdown in global economic growth will erode fuel consumption. West Texas Intermediate futures were little changed near $59 a barrel, after losing 1.6% on Friday. A closely watched gauge of US Treasuries inverted for the first time since 2007, a signal a recession may be coming in the world’s largest economy. Some concerns over a new crude glut abated however as drilling rigs in America fell to the lowest in almost a year. Crude has retreated after reaching a four-month high on Thursday as disappointing global economic data and a lack of resolution to the U.S.-China trade war damped sentiment. The Organisation of the Petroleum Exporting Countries and its allies’ commitment to curb output, coupled with supply disruptions in Venezuela and Iran, is stopping prices from falling further. The judicial commission of inquiry into state-run asset manager the Public Investment Corporation is set to continue Monday while a key court judgement affecting Ayo Technology Solutions will also be handed down. The global equity recovery that took benchmarks to a five-month high is now showing signs of cracking amid weakening data and a pivot by global central banks away from monetary normalisation - which itself reflects concerns about the outlook.